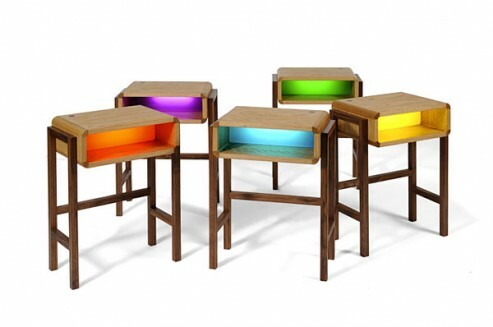 A table with subtle night light glow might just remind you of your elementary school time. The idea behind the design is basically to avoid user groping in the dark while searching for their belongings. The Night Light Table is made of Oak for the surface and Walnut wood for the table’s legs. You could choose from yellow, green, orange and blue color options for the Night Light Table’s light color. You could put in inside your bedroom for a nostalgic bedtime moment, but I guess this one is perfect for Halloween night’s elementary school classroom decoration, don’t you agree? Anyway, make sure not to junk everything inside the drawer, since the space is only that ‘big’ ! :) No info on pricing and availability. In case you are interested, you could contact the designer Charlie Crowther here.